Richard Irwin (Belper, United Kingdom) on 18 May 2009 in Plant & Nature. 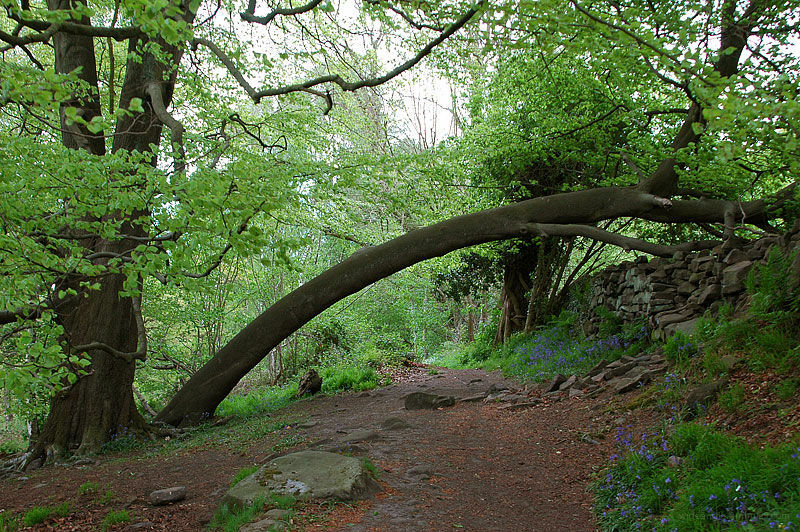 A natural archway created by a Beech tree growing at a funny angle. I too bow to this image. It certainly does make a beautiful natural archway. It looks a wonderful place to go for a stroll too. What a beautiful, tempting path . . can sense the stillness here. Great picture Richard, Derbyshire does have its plus points. That is totally amazing! Fantastic composition. Just think of how many years it took for this tree to grow like that,amazing !! Wonderful light and composition. The blue flowers are delightful. wonderful - like a story-book forest. such a beautiful, natural curve! It must have taken a couple of decades to reach this stage..... even the wall is damaged. Very good shot Richard.